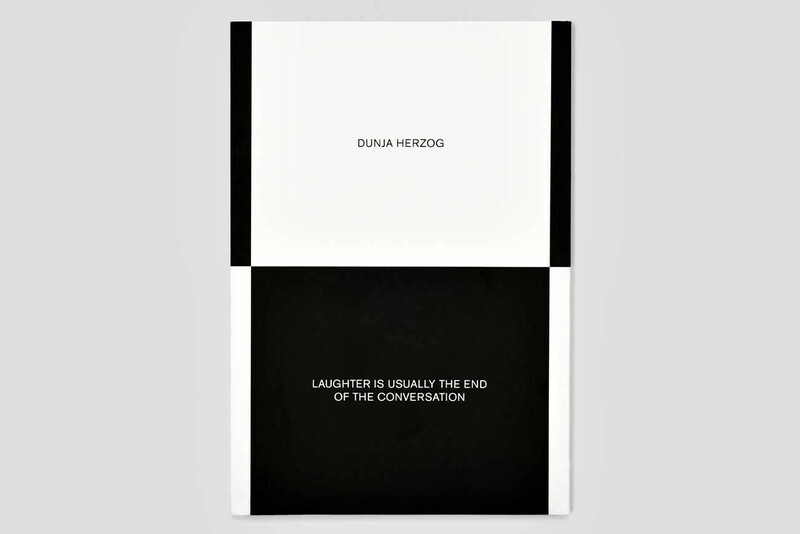 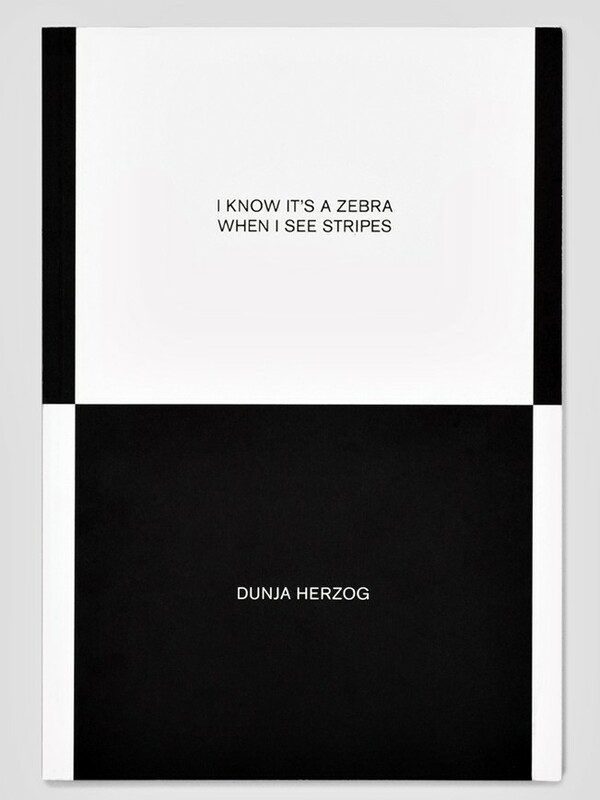 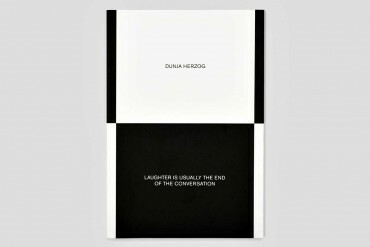 I know it’s a zebra when I see stripes – Laughter is usually at the end of the conversation is a double catalogue of the two namesake exhibitions by Dunja Herzog at Piano Nobile, Geneva and Istituto Svizzero, Milan. 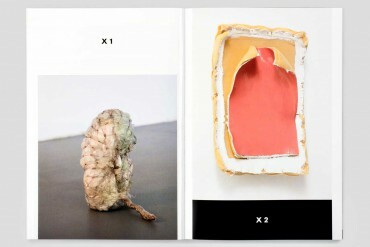 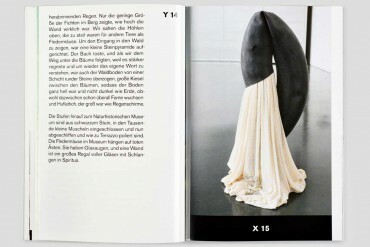 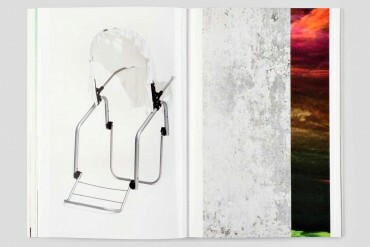 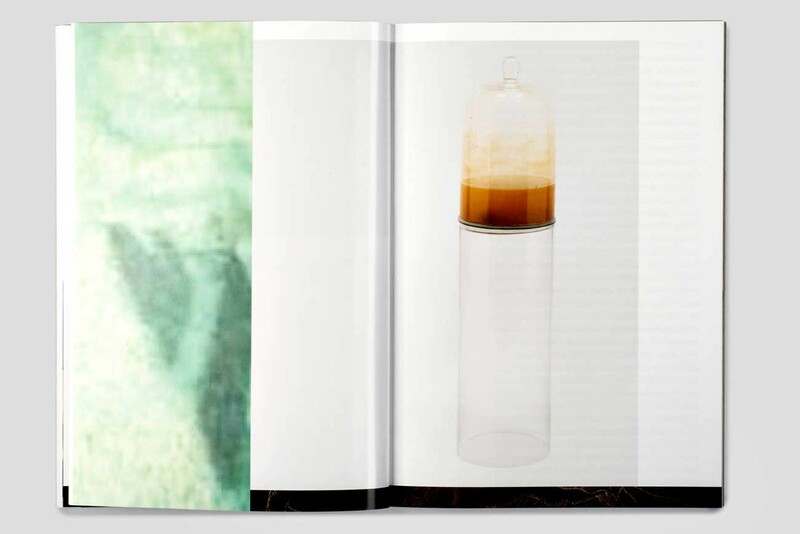 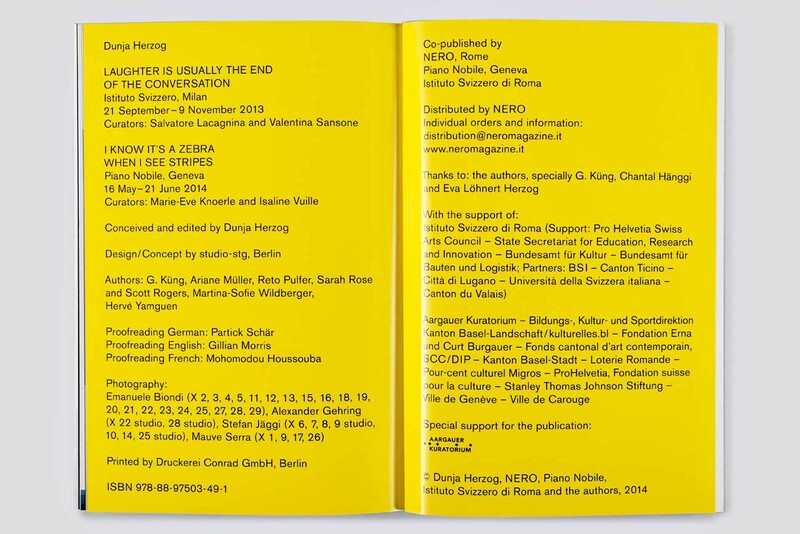 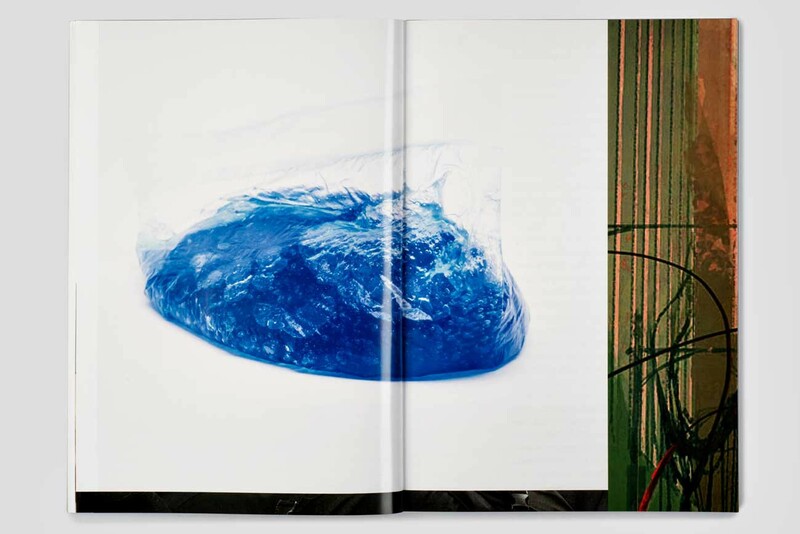 The book project consists of a mix of images from the two exhibitions along with texts written by artist friends invited by Herzog and directly inspired by one of her artworks. 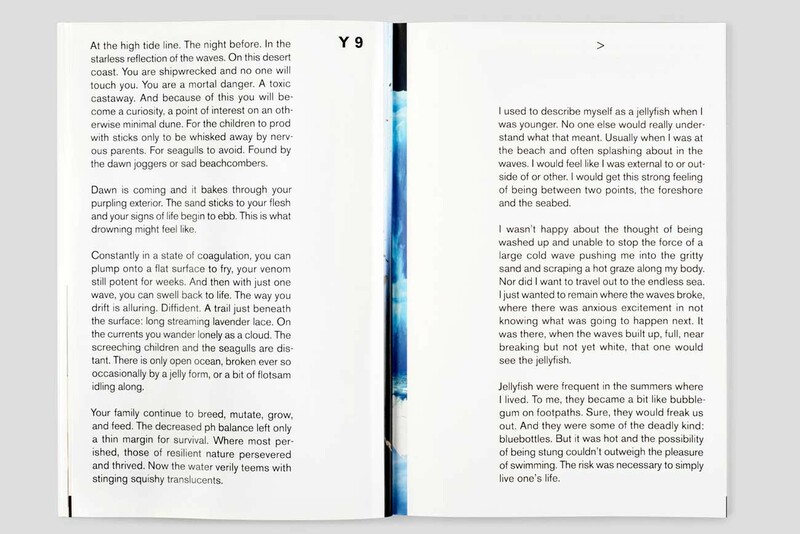 Together with internet images, that oscillate metaphorically between the chosen work and the written text, the book unfolds in an original and enigmatical narrative flow. 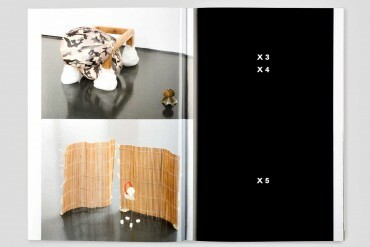 Both photographs and texts in the book are numbered and placed on a black or white background according to the exhibition that they are related to, like a sort of “index by color.” The black background corresponds to Laughter is usually at the end of the conversation Istituto Svizzero, Milan; the white background corresponds to I know it’s a zebra when I see stripes, Piano Nobile, Geneva. 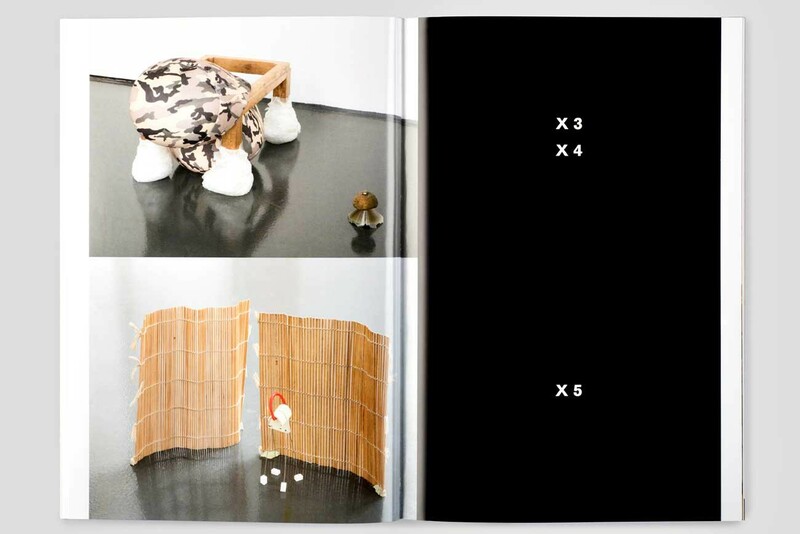 In the two exhibitions the artist realizes sculptures and installations by assembling industrial materials with objects found in places that belong to her everyday life which she isolates or combines.